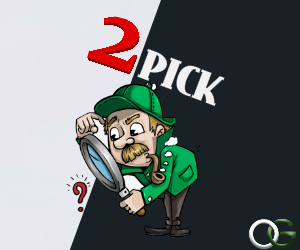 2Pick is a Multiplayer quiz game where an unlimited number of players enters a game and answers 10 simple questions within five(5) Minutes interval and only the top 10% to answer correctly and submit will be able to win the game. One game cost One Hundred naira (N100) only. Simply Register an account on OohGee and fund your OG wallet to start playing Games. What Kind of Questions does 2pick ask? All questions on 2pick are taken from the YES/NO Game demo questions. Very simple questions. you can play demo at any time to check them. Those same questions will be repeated on the 2PICK GAME. You can calculate how much you can win per game session by visiting the calculator page here. 2. All Players are given 10 questions to answer in 5 Minutes Game Time. 3. Out of all the players in a session, the First 10% to finish and answer all questions correctly wins the Cash Prize. 4. After Gameplay, Results are shown containing all player's username, position, score and time of submission for 2 Minutes Result Time. 5. Then afterwards, 2Pick enters a 3 Minutes Break Time for all players to take a break and get ready for the next round and can also join too. 6. and afterwards, the Game begins all over again. 2pick can be played anytime of the day, 24/7 and a player can play multiple times and withdraw earnings alongside oohgee total earnings. Withdrawal takes less than 24 hours to get credited to your preferred method of Payment that you registered with on oohgee. Can i google the answers to the questions? Well, as long as the five(5) minutes game time interval hasn't been exceeded, you can leave the game page and search for answers to a particular question and come back and answer it. Peradventure, you mistakenly logged out whilst playing a game, you can login and continue as long as the 5 minutes time hasn't elapsed. Your earnings are added to your oohgee total earnings, meaning that once your total earnings tab reaches N2000, you can withdraw your earnings. We payout via your provided Local bank account or via Paypal. You can withdraw your earnings immediately and get credited in less than 24 hours.